Kids today just never realize that they are truly living the sweet life. Why should our precious little kiddos have to trek from home to home trick-or-treating on Halloween? The idea of trunk-or-treating at fall festivals, school activities, and other community events offers families a safe alternative to the trick-or-treating experience. Living in a rural area, where my kids observed as soon as we moved here during the month of July, there is logistically no way trick-or-treating is happening here. 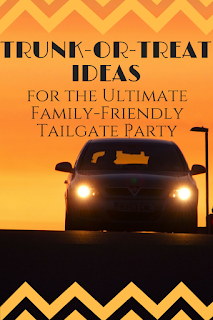 We soon came to know that the creative fun of trunk-or-treat ideas are the ultimate family-friendly tailgate party. Getting ready to trunk-or-treat is half of the fun. Think of getting together with family, friends, decorations, costumes, fun eats, and enjoying fall festivities for the whole family. Creativity is more than welcomed, it's encouraged as vehicles are decorated in themes, flashing lights, smoky effects, and fun decor, stocked with goodies. Families travel with their goodie bags from one car's trunk to the next trunk-or-treating in a supervised, safe environment, eliminating far car drives, parking chaos, as well as, potentially dangerous walks from house to house. Imagine the thrill of excitement at a tailgate party. Team spirit fuels the greatest of celebrations. 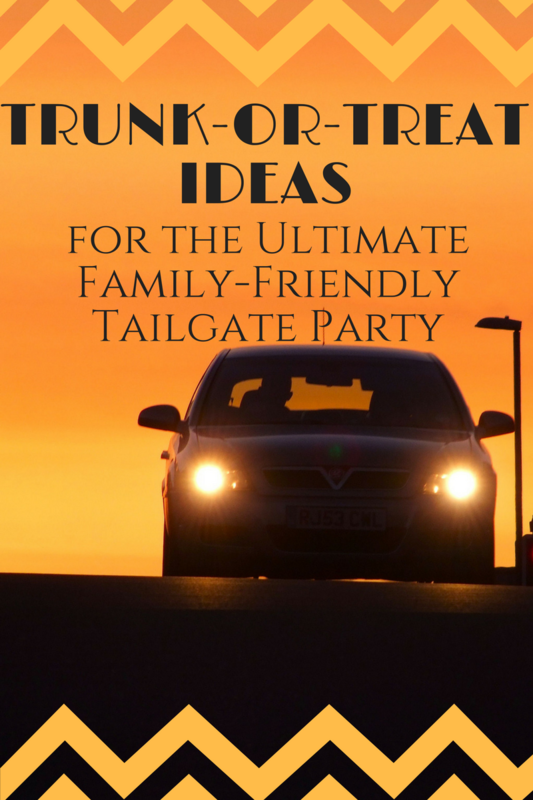 Here are a few ideas for trunk-or-treat inspiration. A few words of advice from those in the know- plan a day time event or secure a well-lit parking lot, allow time for set-up before the trunk-or-treat event begins, remember access to restrooms, leave ample space between vehicles to prevent crowding, and provide trash cans for all of those candy wrappers. Consider organizing or participating in a trunk-or-treat event within your neighborhood as a festive family tradition. Have fun!